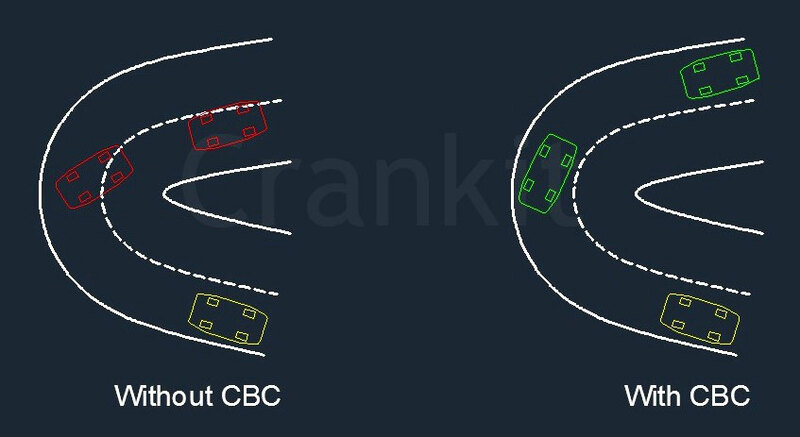 Cornering Brake Control (CBC) is an active vehicle safety system which assists the driver during manoeuvring a curve at high speed. 'Torque Vectoring Brake' and 'Cornering Stability Control' are the other synonyms of this system. Many vehicle manufacturers consider this system as a sub-part of Electronic Stability System (ESP) while some others define it as an extension of Antilock Braking System (ABS). How Cornering Brake Control functions? First, let us consider the behaviour of a vehicle while tracing a curve. So, this will get you a clear idea of the functioning of this system. When a vehicle moves along a circular road, the centripetal force acts on it. This shifts the weight of the vehicle away from the centre of curvature of the road. Due to this, the inner wheels of the vehicle lose some of the force of traction. As the speed of vehicle increases, so is the severity of these forces. This situation generates an imbalance in the overall behaviour of the vehicle. As a result, it increases the possibility of a vehicle getting drifted away from its intended path. It may also move into the other lane posing a threat of an accident. In such a scenario, Cornering Brake Control comes to rescue. With the help of the control module, this system continuously monitors vehicle behaviour during such situations. It automatically applies brakes to rear inner wheel if needed. Application of brakes results in turning action of the vehicle around its vertical axis which counteracts the force trying to veer the vehicle outward. Thus, it ensures the vehicle stability and obviates the risk of accidents. CBC offers excellent control of over vehicle while driving on a curved road at high speed. As the understeering tendency is constrained, chances of a vehicle leaving the lane are reduced substantially. Home » Technical Anatomy » What is Cornering Brake Control In Cars & How It Works?